Since our campers have been working on mural-style art projects, we’ve been thinking a lot about art and it’s role in peacemaking. 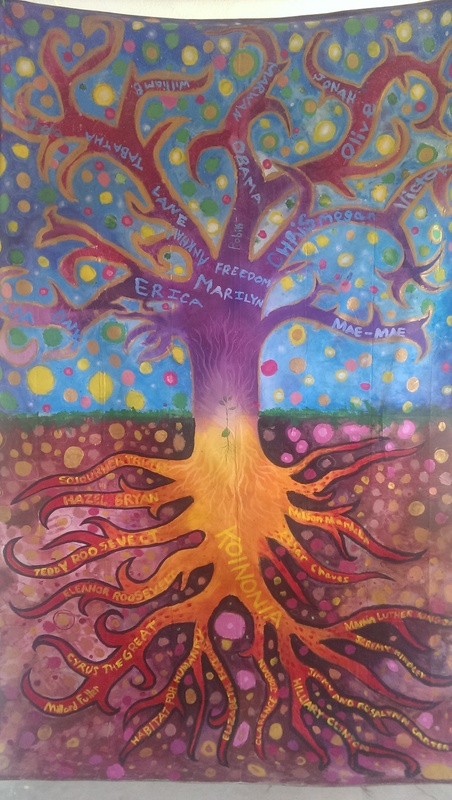 Tracy Newton, an intern at Koinonia, has brought her artistic skills to Koinonia. 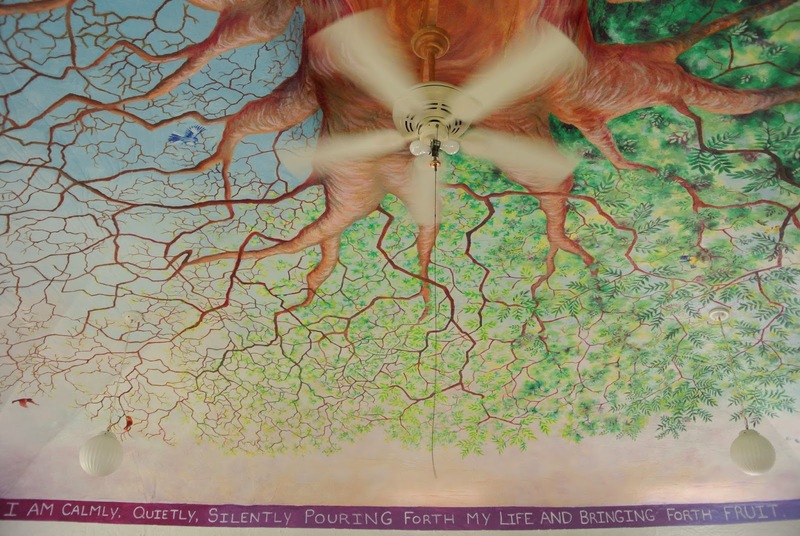 She created a tree mural on the ceiling of the Koinonia coffee house and has been doing (and selling it – with some proceeds going to Koinonia) art based on things she sees at Koinonia. Tracy has been a big supporter of Peacebuilders Camp and even donated a painting to our silent auction.